A bump, jolt, or blow to the head is the last thing anyone ever expects to happen when going about his or her daily business. From concussions to serious brain damage, traumatic brain injuries (TBI) can be the most devastating of all head traumas. Injuries to the brain often cause long-term damage and can dramatically change the course of your life. The cost of ongoing medical treatment and rehabilitative care can cause significant financial strains on both you and your family. 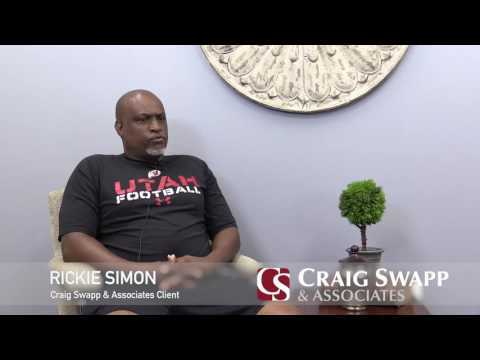 To recover financial damages associated with a TBI, it’s crucial to retain the services of a Salt Lake City brain injury attorney from Craig Swapp & Associates. The National Institute of Neurological Disorders and Stroke reports that the symptoms of a brain injury can be mild, moderate, or severe, depending on the extent of the damage sustained by the brain. It’s crucial to seek medical care immediately following any type of head trauma. Many TBIs do not show any symptoms until several weeks or months have passed and the brain injury has deteriorated further. The sooner you get examined and treated, the better your chance of recovering. Once you’ve been diagnosed, make certain to contact a Salt Lake City head injury attorney from our office so that we can begin working on your case as soon as possible. Brain injury victims of all three levels of severity may share similar symptoms, so it’s sometimes difficult to tell if a head injury is mild or serious without extensive testing. Many people believe a concussion is a mild injury; however, concussions can be serious, and medical attention is always necessary. A blow to the head can cause bleeding within the brain, swelling, and a fractured skull, all of which can cause permanent brain damage. Your brain injury lawyer in Salt Lake City will be familiar with litigating all of these case types and will handle the investigation and evidence collection while you focus on your recovery. It’s important to get sound legal advice from a Salt Lake City head injury lawyer who understands the legalities surrounding your accident and the seriousness of your injuries. Traumatic brain injuries are not only physically and emotionally devastating, but the financial implications can be catastrophic, as well. An experienced Salt Lake City brain injury attorney from Craig Swapp & Associates can help you through this tough time. Dedicated to aggressively pursuing your brain injury claim, we will stand up to the insurance companies and their attorneys while seeking the settlement your case deserves. To get started, call 1-800-404-9000 or complete the contact form below to arrange a time for a free case evaluation.